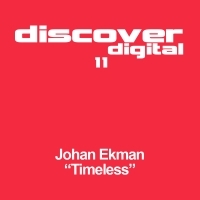 Johan Ekman delivers a fine debut on the Discover imprint with this energy fuelled trancer. The track first saw the light of day on John Askew's "Live As" mix album in LA and has since also featured on the Planet Love Festival DVD in Ireland. Another label debutee "Charlie Brown" is on remix duty rounding of the release nicely and giving us an excellent taste of what the Discover nu-breed have to offer. This release will be available as vinyl, download and CD single. Paul Van Dyk, Armin Van Buuren, Eddie Halliwell, Graeme Gold, John Askew, Greg Downey, Mark Sherry, Thomas Datt, Manuel Le Saux, John O'Callaghan, Jon O'Bir, Chris Hampshire, Alex Morph, Woody Van Eyden, Ian Betts, Mark Sherry. 'Timeless' is available now from Beatport and iTunes.